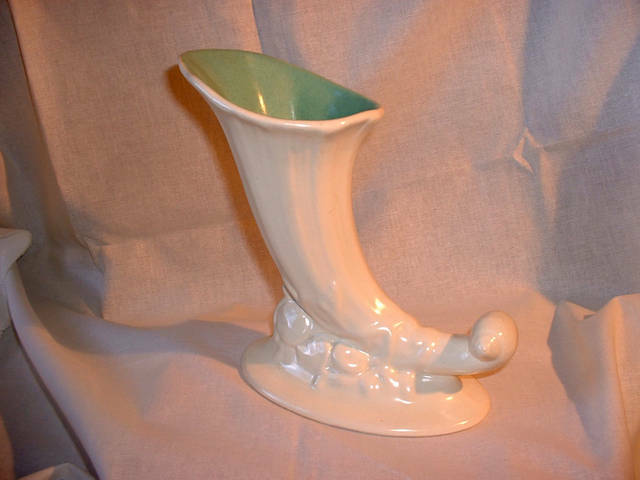 Description: Early RumRill (by Red Wing) Vase. 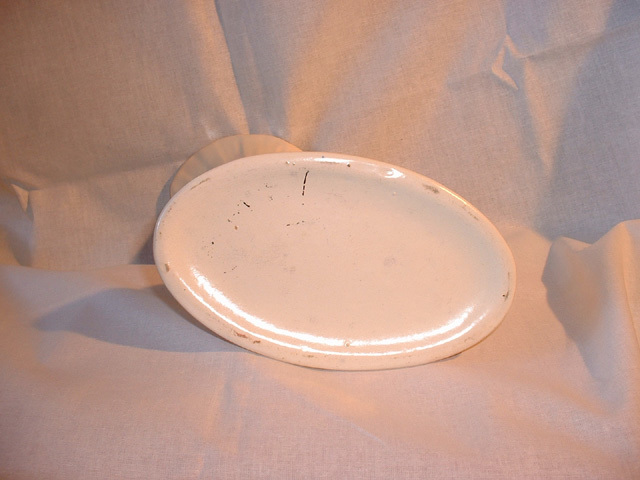 Glaze is known as "Snowdrop" (Ivory and Green). From the early 30's. There are some black marks on the bottom, but should remove easily. Light crazing on the inside. Outside is perfect. Vase is marked RumRill, but is very hard to read. Approx. 8 inches tall.